This rose is made from Zweigelt, Austria’s most planted red wine grape; a cross between Blaufränkisch and St. Laurent (similar red berry and bright fruit as Pinot Noir). 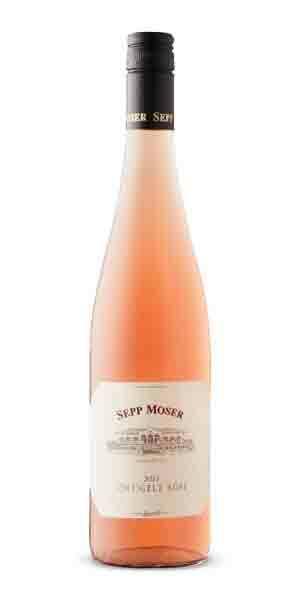 Sepp Moser has produced a beautiful onion skin coloured wine with scents of red berry, strawberry and fresh flowers. The palate is lively and crisp and with focused minerality. Like all good rose, don’t over chill so you can enjoy the maximum flavours the wine has to offer.